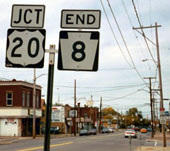 By that time, US 6 no longer served Erie, but already by then US 19 was clearly shown ending at 26th Street. 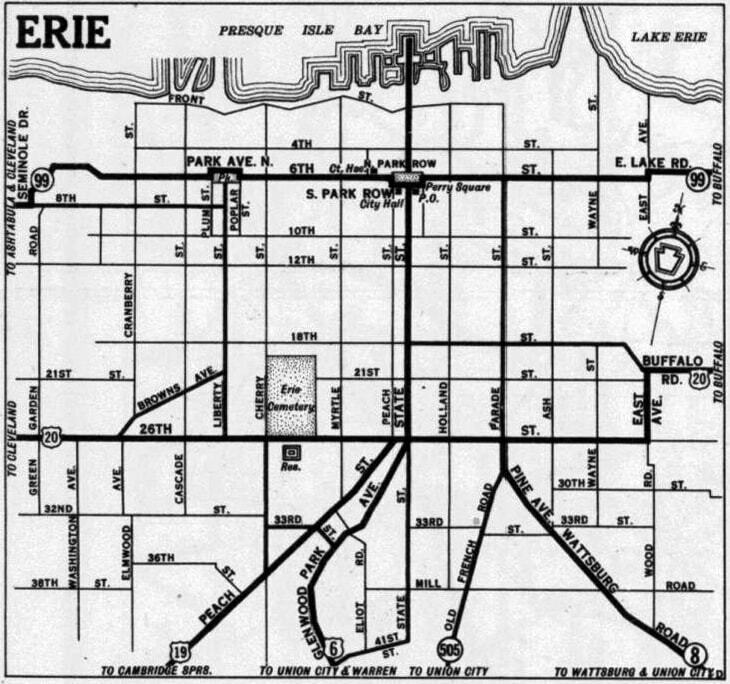 And State was still shown with a gap in Perry Square. 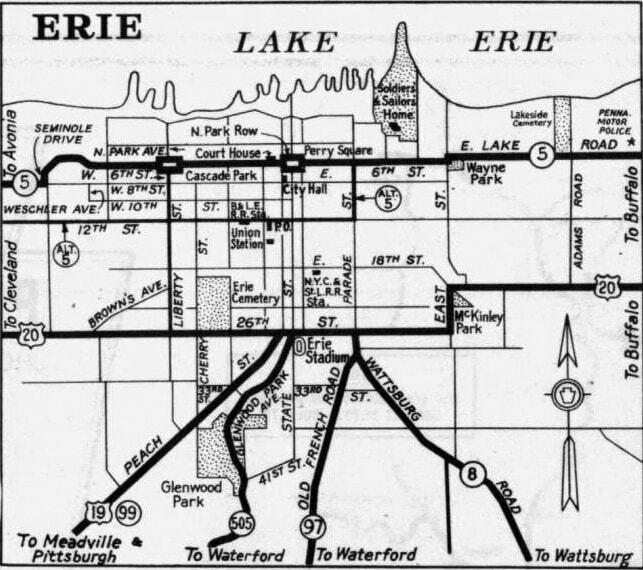 So the 1930 inset seems a little suspect. 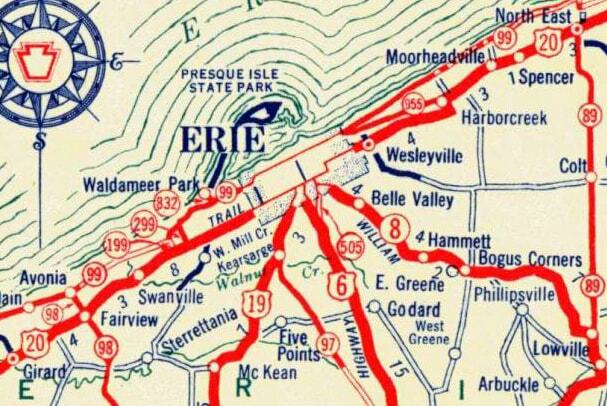 Unless further evidence to the contrary is revealed, we will assume that no US route ever extended north of US 20 in Erie. 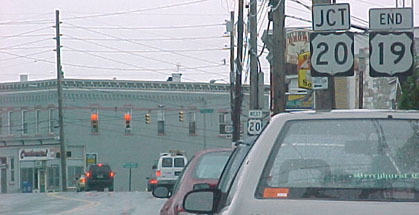 Just ahead, traffic on Glenwood reaches a stop sign at State, where PA 505 technically makes a left turn for a few yards before ending at 26th. 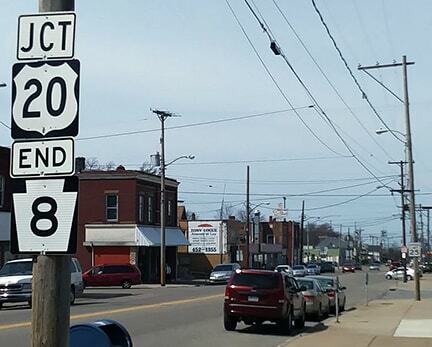 That is the historic endpoint of US 6 and 6N. 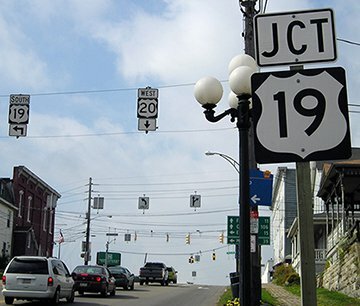 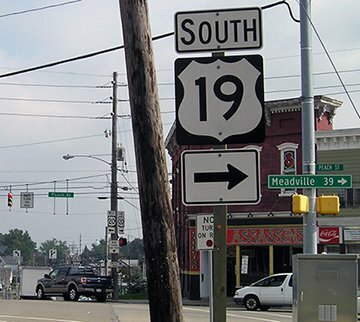 But neither of those routes terminated there for more than a few years; in the mid- to late-1930s, US 6 was rerouted again, this time along its present course through Meadville. 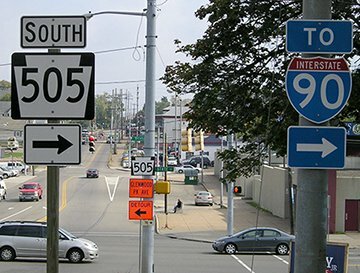 Its "intermediate" route between Mill Village and West Springfield became US 6N [iii], and US 6N [ii] leading into Erie was decommissioned.